Ready for the first #TripleSBites recipe?? To kick things off, I have an amazing, flavorful, tender, melt-in-your-mouth Pot Roast. Plus it cooks in the crock pot, so after a quick sear, you walk away until dinnertime while the house is filled with mouth watering smells! After a nice sear, the roast gets smothered with an amazing mixture of Gourmet Garden Herbs, followed by the sweet with a hint of spicy Cherry Chipotle Sauce from Not Ketchup. 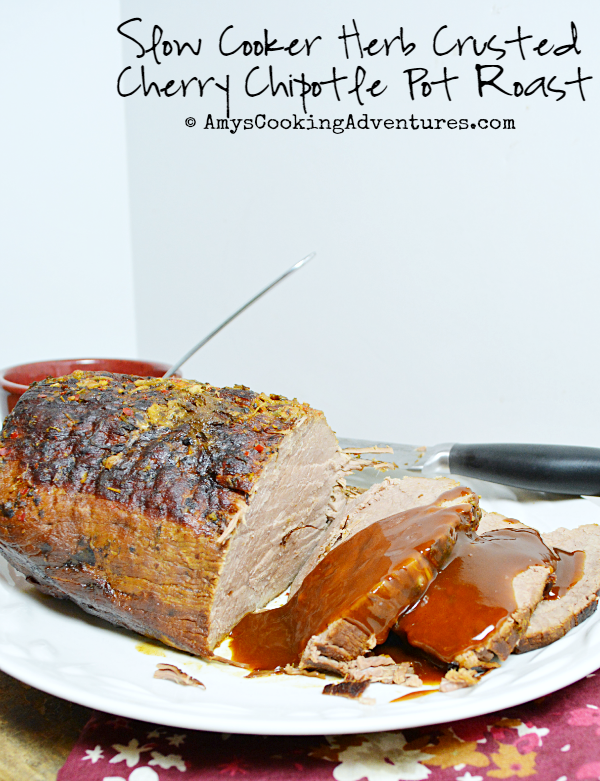 The roast is sweet and just a little spicy, making it incredibly family friendly! Heat the fat in a skillet over high heat. Season the roast liberally with salt and pepper and sear on all sides. Meanwhile, place the onions into a crockpot. Place all of the herbs pastes in a small bowl and stir to combine. Once seared, place the roast into the slow cooker. Spread the herb paste mixture all over the roast as a wet rub. Pour the Cherry Chipotle Sauce over top. Cover and cook on low for 6-8 hours or until the meat is very tender. Remove the meat from the crockpot and tent lightly with foil. Strain the solids from the cooking liquid and place in a saucepan over medium heat. Bring to a light boil and whisk in the cornstarch mixture. Boil until thickened. Serve the roast with sauce. 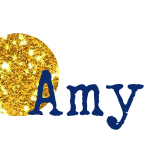 Sounds delicious Amy. Great first offering for this event. So tasty! This would make for such a delicious dinner! Do not think I've ever made a pot roast. I have to fix that. Stat. Thanks for the great recipe. I got the cherry chipotle sauce. I can't wait to use it. She makes such delicious not ketchup sauces. I'm loving this roast! I bet the left over sammies were amazing, too. This sounds so good! 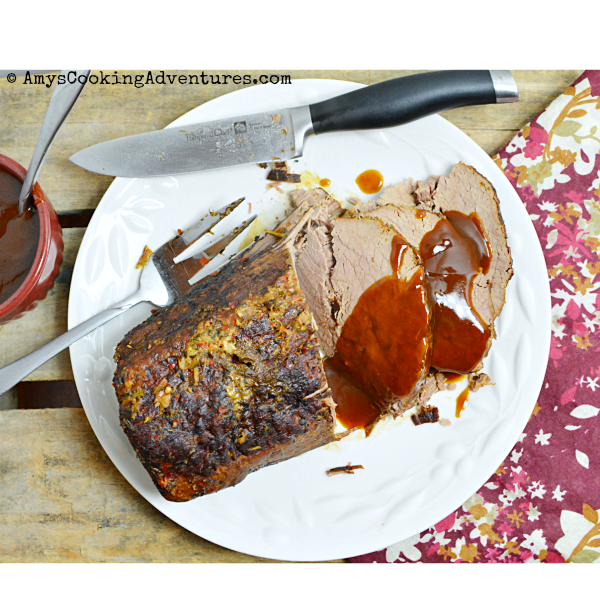 I love roast- the sauce sounds do good! Definitely need to get the slow cooker out for this one.